When the sun is out and skies are blue, life is good. 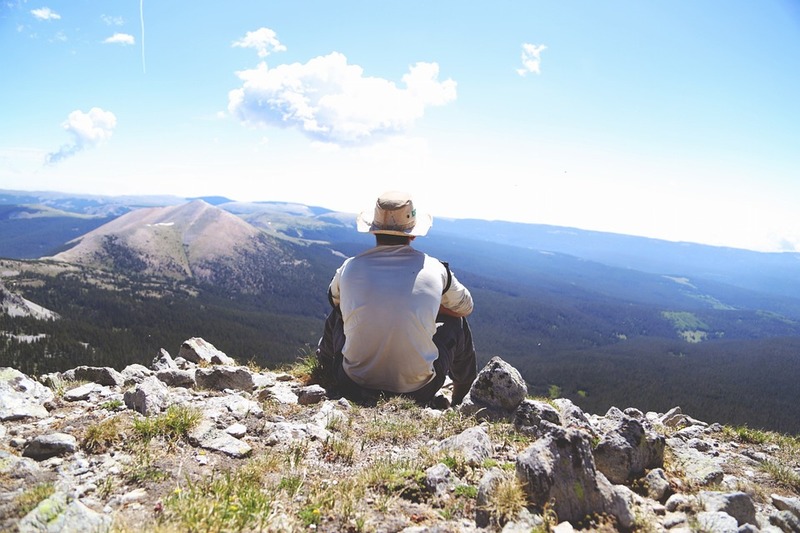 But even when it feels like anything under the sun is possible, you can't forget that outdoor activities pose serious risk of sun damage. 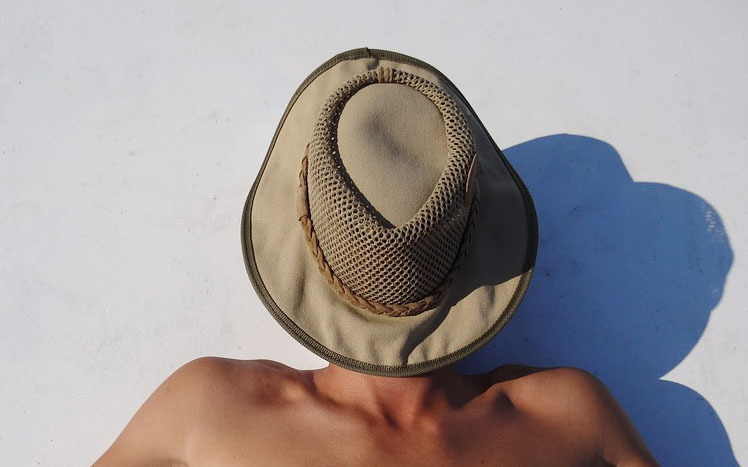 Whether you're heading to the crystal-clear turquoise waters of the Caribbean, embarking on an adventuresome walkabout Down Under, or simply plan to take advantage of a relaxing Sunday afternoon soaking up some rays, a sun hat is a must. 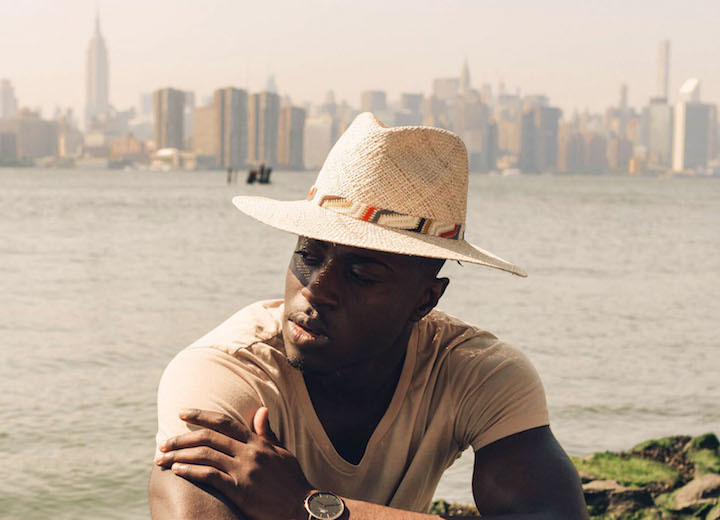 To help you out, we’ve compiled this list of the best mens sun hats that come in a variety of materials, colors, and styles that best suit your face shape. You can also browse our full selection of mens sun protection hats for even more options. When it comes to choosing the best sun hats, make sure to consult this checklist so you don't end up with buyer's remorse. Or worse, a sunburn. Most guys throw on an old baseball cap and call it a day, no matter how sunny it is. But if you're serious about saving face (and you should be), a wide brim is a must. 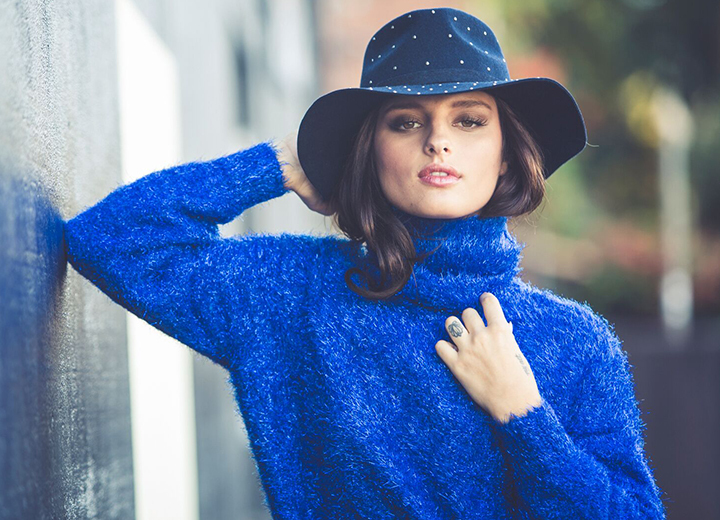 Not just a womens hat style, a wide-brimmed hat is one with a brim that measures at least 3 inches to protect your face, ears, and neck from harmful UV rays. Plus, let's face it: They look way cooler than adding a neck flap to a baseball hat. To help keep the fun in functional, choose a hat made of breathable materials. Cotton, straw, linen, and synthetic fabrics designed for breathability such as breathable mesh are your best bets. Also, look for sweatbands that are quick-drying and breathable for an even better hat-wearing experience. Be flexible. It's good advice for life and for sun hat shopping. Flexibility not only means that a hat is crushable, it also means that a hat can be easily adjusted. Look for details such as Velcro, chin straps, and adjustable drawstrings so that your hat will stay on no matter what the day brings. After all, even the best sun hat won't do you any good if it doesn't feel comfortable and stay put. Slathering on sunscreen is never fun, but neither is burning your skin to a crisp. Wearing SPF is recommended even on cloudy days, so it's even more important to take proper precautions when the sun is out in full force. To that end, wear hats with a UPF (Ultraviolet Protection Factor) rating, preferably UPF 50. Hats and clothing with UPF offer UV protection against UVB and UVA rays, which is key to preventing sun damage and skin cancer. Learn more about what makes a good sun protection hat with our guide to the best sunblock hats. An instant classic by anyone's standards, Muirfield by Scala is as much an adventure hat as it is a fashionable statement maker. 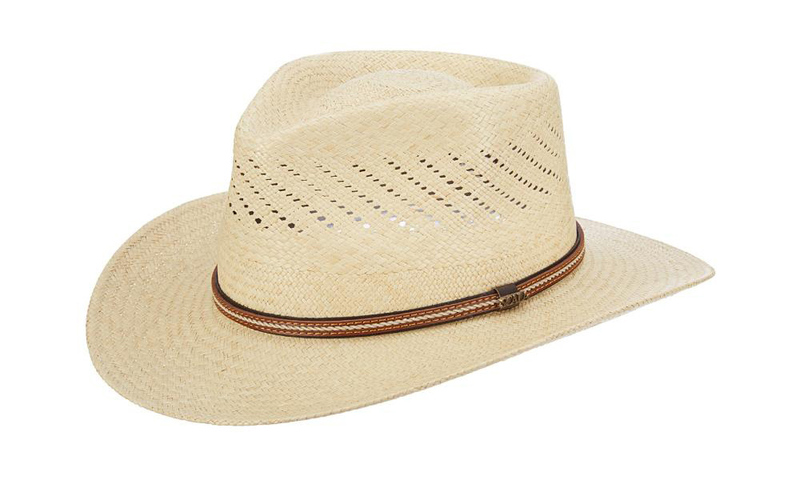 Perfect for any occasion under the sun, this hand-woven straw hat features a vented crown for optimum breathability and a three-inch brim for plenty of UV protection. The slim, stitched leather band adds a stylish yet understated touch while the Dry-Lex Eco sweatband will keep you feeling as cool as you look. 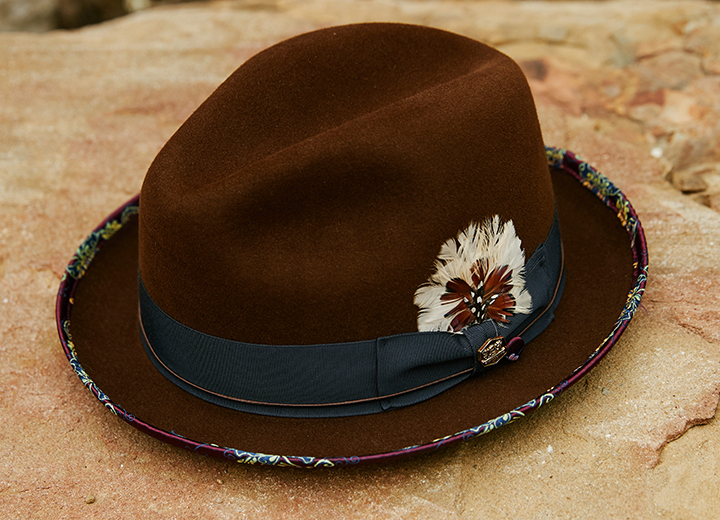 Made in America but ready for the world, Taos by Scala Classico is the kind of hat that's built to last. 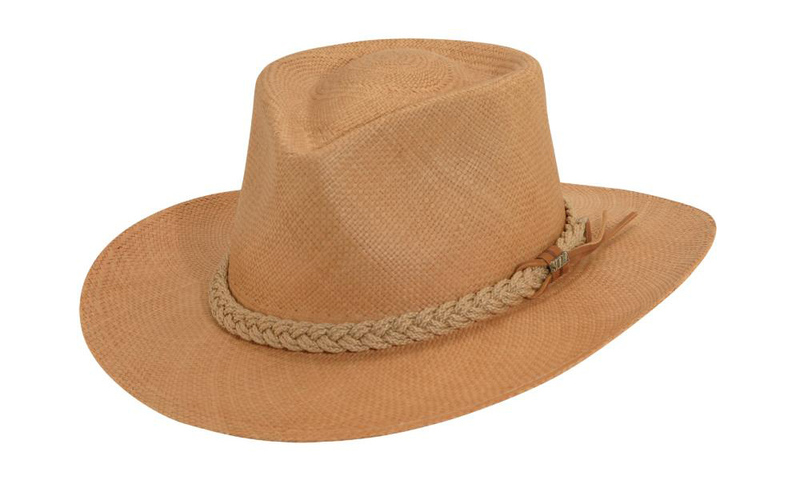 Sporting a teardrop crown and brim that dips down in front and back, this outback-style hat is crafted from hand-woven Ecuadorian Panama straw. The braided jute band adds the right amount of ruggedness and the 2 7/8-inch brim is neither too small nor too big. Get one in the putty color shown for a hue that's reminiscent of a warm New Mexico sunset. 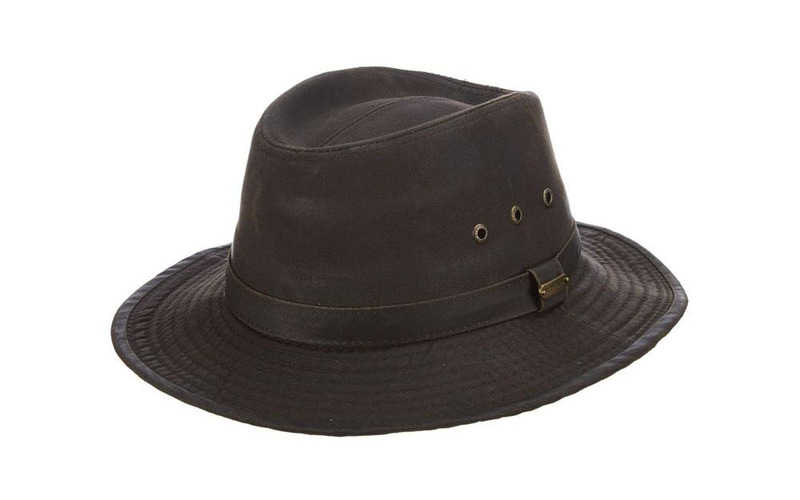 Whether you're going on safari or braving the heat of the city, the versatile Saltaire by Brooklyn straw safari hat ensures you'll look fresh no matter how hot it gets. Breathable hand-woven bao straw keeps things cool (literally) while the metallic chevron takes a walk on the wild side. The wide 3 1/2-inch brim is just what you need to keep the sun off your face, ears, and neck while the inner drawstring sweatband can be adjusted for the perfect fit. If you don't exactly care for boonie and bucket hat silhouettes such as the Outdoor Research Sombriolet sun hat and Columbia Sportswear Bora Bora Booney II sun hat found on Amazon, you'll love this cooler-looking Kinross hat by Stetson. Featuring a skin-saving wide brim, this sporty hat offers instant comfort thanks to its breathable fabric and adjustable chin cord. Herringbone weathered cotton feels lived-in from the moment you put it on, a twill sweatband keeps you cool during your outdoor adventures, and the plaid lining keeps things fun under the hood. Proving that sun hats are anything but boring, this bold homburg hat from Stacy Adams will instantly amp up any wardrobe. Made from shiny, smooth toyo straw, this topper is for the guy who appreciates attention to detail and isn't afraid to be seen. 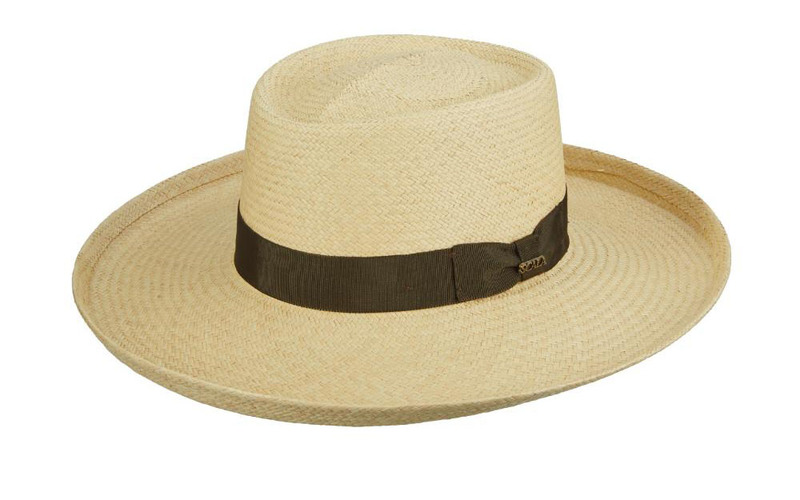 The 19-ligne grosgrain band and feather accent create a touch of formal flair while the 3-inch brim and cotton sweatband will keep you comfy at a sunny destination wedding, chilling poolside, or enjoying al fresco lunch. Who says a sun hat has to be made of straw or cotton? This water-repellent wool felt outback hat from Scala is a game changer. A must-have for the guy who likes to keep things unpredictable yet smart, Dakota is a study in urbane functionality with a 3-inch wide brim and sleek leather band. 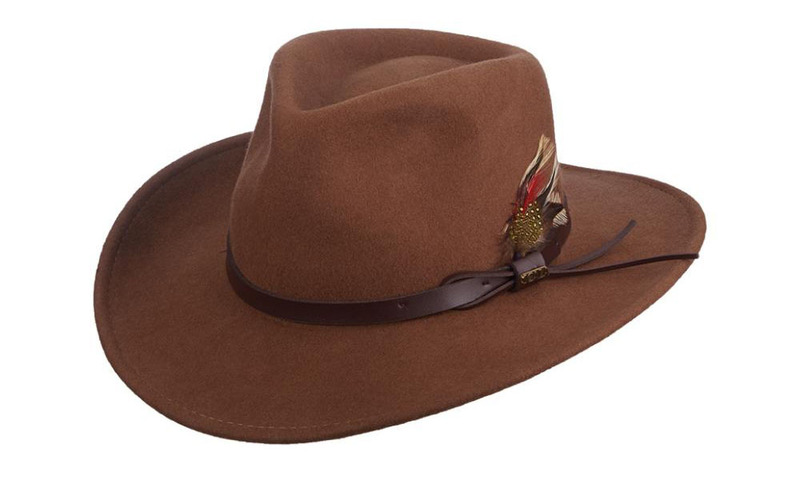 Shown in pecan, this hat is also available in olive, khaki, putty, chocolate, and black. 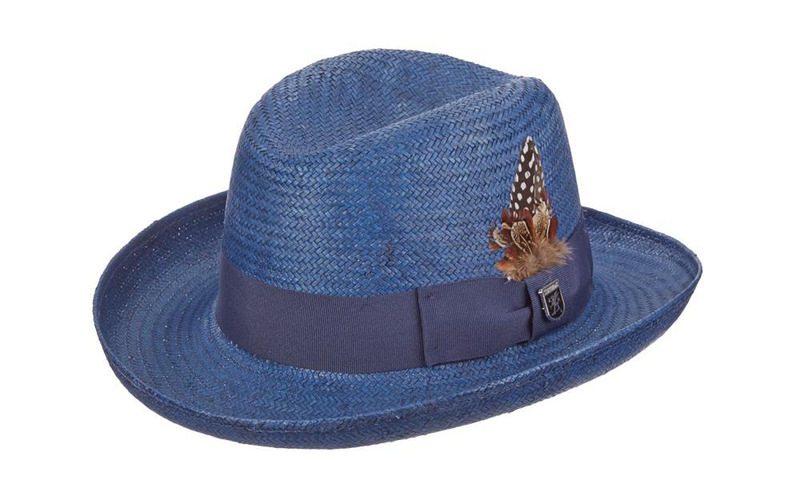 A feather in your cap is exactly what you'll get for selecting the eye-catching Bhumi by Santana. 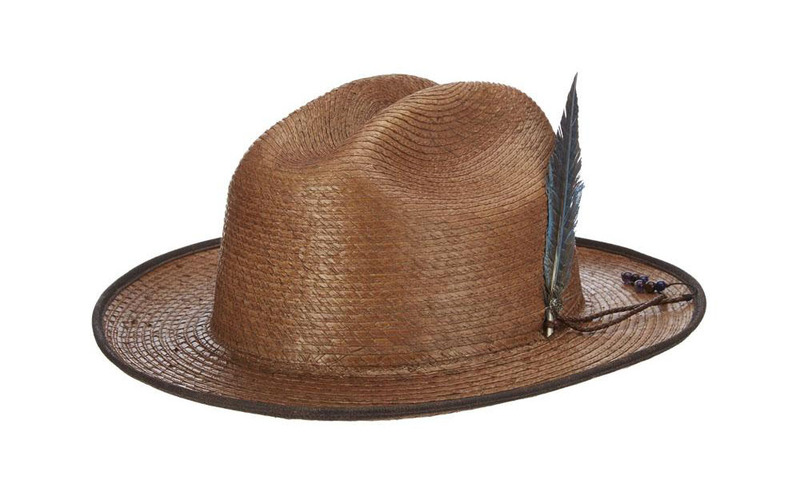 Along with the stylish plumage accented by braided rope and beads, this western straw topper is ideal for sunny excursions with its 2 3/8-inch brim and cattleman-style crown. The fine braid palm fiber and Dry-Lex Eco sweatband ensure a breathable, comfortable wearing experience so you can feel as rockin' as you look. Go big or go home. 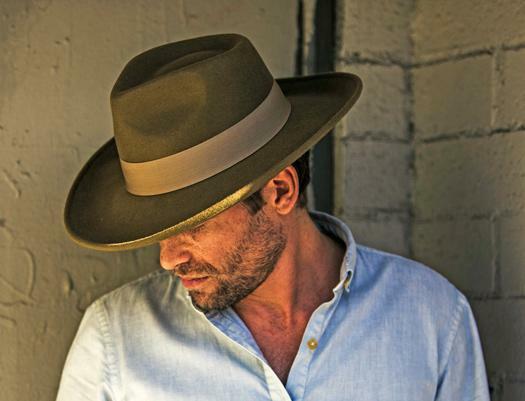 That's your motto and this is your spirit hat: the big-brim Panama by Scala Classico. 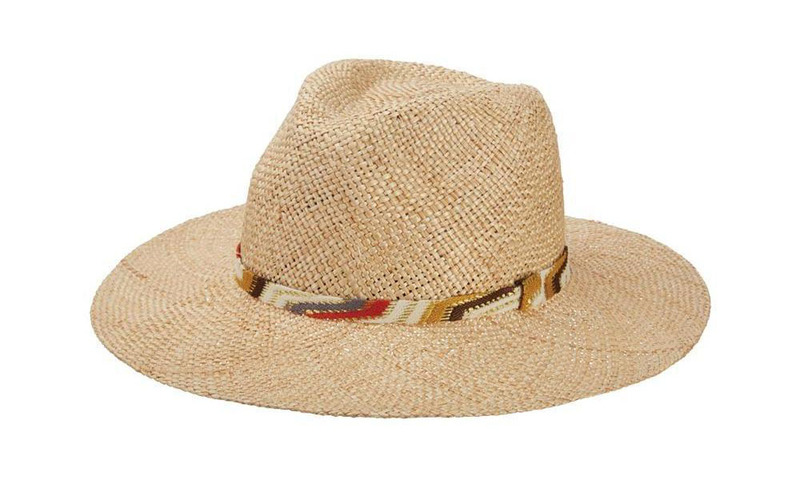 Made in the U.S. of carefully hand-woven Ecuadorian straw, this handsome headgear doesn't mess around with an upturned 3 3/4-inch brim that capably keeps the sun at bay. The simple yet elegant 12-linge olive grosgrain band speaks volumes about its quality without saying a word. Once you know what to look for in a mens sun hat, there's no need to sacrifice fashion for function. 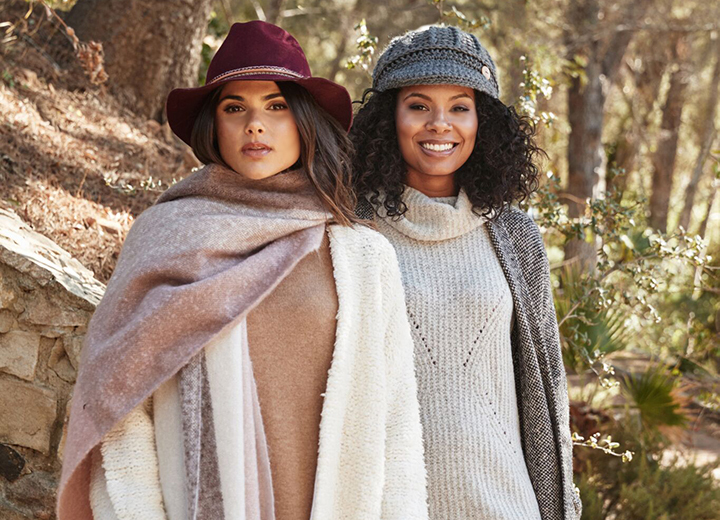 Whether you're sporty, sophisticated, or a little bit of both, finding the best hats to keep you safe from harmful UV rays is not just something to wish about — it’s now completely within reach so you make the most of those bright, sunshiny days.